Dynamite News is a National news portal based in New Delhi, India, with special focus on Uttar Pradesh. We reach netizens throughout the globe – anywhere, anytime on your laptop, tablet and mobile – in just one touch. It brings a beautiful blend of text, audio and video on Politics, National, International, Bureaucracy, Sports, Business, Health, Education, Food, Travel, Lifestyle, Entertainment, Wheels and Gadgets. Founded in 2015, by a young journalist Manoj Tibrewal Aakash, Dynamite News meets the demands of everybody. It particularly feeds the needs of the youth – the real force behind the dynamic, courageous and confident India. Our motto is: Fast, Fair and Fearless. Manoj Tibrewal Aakash is a young Indian journalist. He is the Founder and Editor-in-Chief of Dynamite News. He is having about two decades of experience in the field of Print, Television and Digital Journalism. 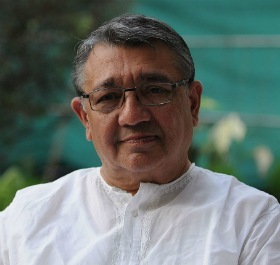 Tibrewal was associated with India's Public Broadcaster – Doordarshan News for a decade (2006 to 2015) as a Prime Time Television News Anchor and Senior Correspondent. He hosted the popular talk show, Ek Mulaqat on DD News continuously for 5 years (2010-2015) and now continues the show on Dynamite News. In August 2015, he decided to discontinue with DD News and started his own 24x7 online news channel, Dynamite News, launched on 16th October 2015. SK Roongta is an Electrical Engineering Graduate from BITS, Pilani and PG Diploma in Management (International Trade) from IIFT, New Delhi – Gold Medallist. Roongta joined SAIL in 1972 as Marketing Executive and rose to become its Executive Chairman (2006-2010). 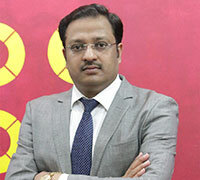 He is regarded as one of the experts on Strategy and Turnaround, in manufacturing sector in the country. 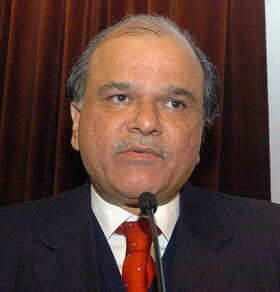 Roongta is presently Non-Executive Chairman of Bharat Aluminium Co.Ltd. (BALCO) and Talwandi Sabo Power Ltd.(TSPL) – both companies of Vedanta Group, a globally diversified resource major. Earlier (June 11 – May 15), Roongta was Managing Director of Aluminium Power Business of the group. Arun Bhatnagar, is an Economics Graduate from St. Stephen’s College, Delhi. He is a 1966 batch IAS of Madhya Pradesh cadre. Bhatnagar has served in various capacities in Madhya Pradesh and with the Government of India. Bhatnagar retired from the IAS in June, 2004 as Secretary, Department of Personnel and Training and worked, thereafter, as Secretary, National Advisory Council and Chairman, Prasar Bharati (2008–09) at New Delhi. Bhatnagar worked as Joint Secretary to the President of India Dr Shankar Dayal Sharma. He also served as Minister (Economic), High Commission of India, London. He is Grandson of the eminent scientist, Sir Shanti Swarup Bhatnagar, FRS, architect of the CSIR. Ram Yash Singh, is an IPS officer of the 1985 batch Bihar cadre. He is a well known IPS officer of Bihar. Singh completed his B.Sc. from Jain College, Arrah. He has worked as Senior Superintendent of Police (SSP) in many challenging districts like West Champaran (Bettiah), East Champaran (Motihari) and Jehanabad in Bihar. 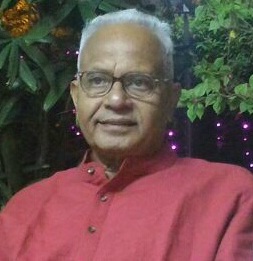 After retiring from the Indian Police Service, he is active in the field of advocacy in the Patna High Court as Senior Advocate. SM Khan, a 1982-batch Indian Information Service officer, studied law for his graduation and pursued LLM from Aligarh University. He later went to University of Wales for a degree in Economics. He has served as the Director General of Doordarshan News, PIB, DFF and RNI. During his 13 years service in CBI, Khan was the spokesperson of the agency, appearing regularly on national and international media. He served as Press Secretary to the President of India (2002 to 2007) Dr. APJ Abdul Kalam. Khan has written a book on the "People's President Dr. APJ Abdul Kalam".